Help! BitDefender won’t Uninstall. 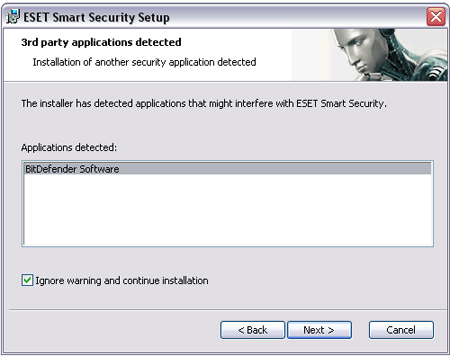 Just the other day, I went to install ESET Smart Security (NOD32) on a clients computer. The client said recently that they let their previous BitDefender Antivirus Software subscription expire and rather than renewing their subscription, decided to give ESET Smart Security a try. When we attempted to install the ESET Antivirus Software, the installer complained that “BitDefender Software” was still installed. I was also informed that BitDefender was properly removed by the client using Add/Remove Programs. So, here is how I resolved the problem and removed all traces of BitDefender. 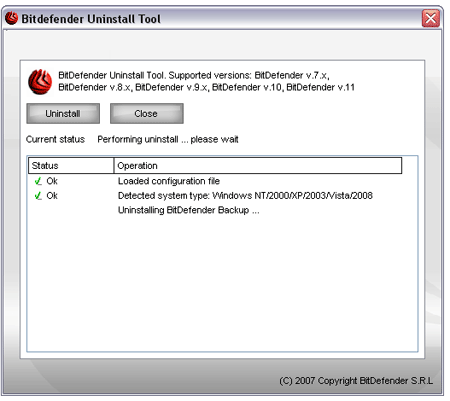 Note that this Uninstaller even removes all registry settings set by BitDefender.